Hello! 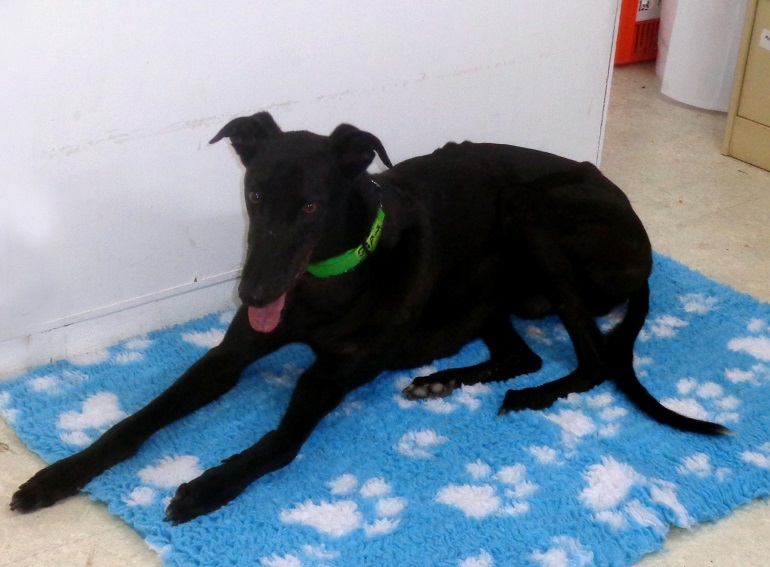 My name is Liam and as you may be able to tell from my dashing good looks and my lithe physique, I am a retired racing greyhound. My three friends, Cyril, Ernie and Eddie and I have been sent to prison. But don’t worry, we reckon it is exactly what we need to get our lives back on track. Cyril and Liam arriving at Palen Creek Correctional Centre. Cyril and I are living at Palen Creek Correctional Centre near Beaudesert and Ernie and Eddie are at Numinbah Correctional Centre in the Gold Coast hinterland. We’ve been told we aren’t the first elite athletes to end up in prison, but we are totally down with rehabilitation and we really are committed to becoming very good dogs. 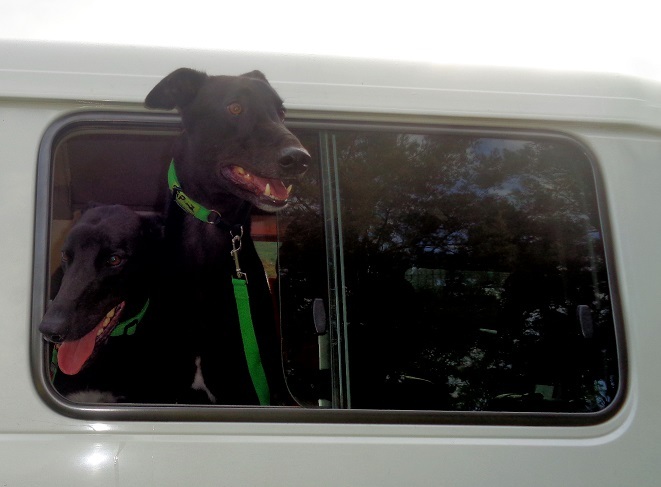 Being former racing greyhounds, we don’t really know how we should behave now that we are out in the big wide world. Our lives revolved around training and sleeping (we’re REALLY good at sleeping). So when we retired, we were told that the prisoners here could help us, but just quietly, I think we are helping them, too. Because dogs are good like that. International research* says so. Apparently we are going to live here with our prisoner foster carers, who are also trying hard to rehabilitate, for about six to eight weeks. That’s why I’m calling my blog 50 Days of Grey(hound). After this, if we are good enough, we will receive a green collar, which means we are ready to go to our fur-ever home with a new loving family as a pet. They will love us as much as the prisoners do. 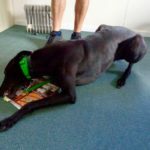 Did you know that more than 200 greyhounds like me were rehomed by the Queensland Racing Integrity Commission’s Greyhound Adoption Program in the past year? My friends and I are hoping to be the first to be rehomed in 2019 after we complete our prison sentence. Every morning, my handler takes me for a walk to get lots of hugs and pats from the other people here. I love a good scratch and sometimes, I just can’t control my tail. That thing has a mind of its own, I swear! We play games together, he baths me (not too keen on that bit) and between you and me, he even picks up after me! Liam showing the cattle his dance moves. 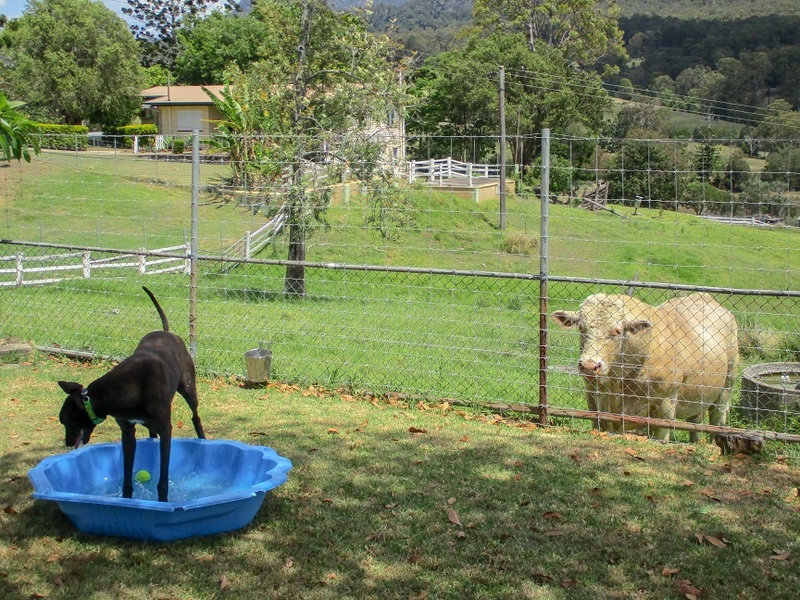 I have tried making friends with the cattle and horses who live here, and the wallabies look like a lot of fun, but apparently good dogs don’t chase hop-hops, so I am working on learning to ignore them, because I want nothing more than to find my fur-ever home. Apparently my handler is also learning lots of stuff that might mean he has a better chance of having a better life when he leaves here, as well. Someone said something about recidivism rates and how dogs improve prisoner’s outcomes, but they had a treat so I sort of lost interest. Anyway, I look forward to giving you another update next Tuesday. 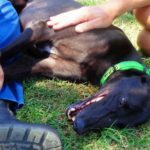 *International research shows that prisoners involved in dog handling programs are half as likely to reoffend post-release as those not involved in programs.